Hi, Thank you for your interest in my services. My name is Alison and my services are based on health and well being, whether it be time out to relax and enjoy a massage or reflexology or to help with a specific problem area. I take an holistic approach to the body and the mind, I am fully qualified in Massage, Reflexology, Aromatherapy and Counselling. 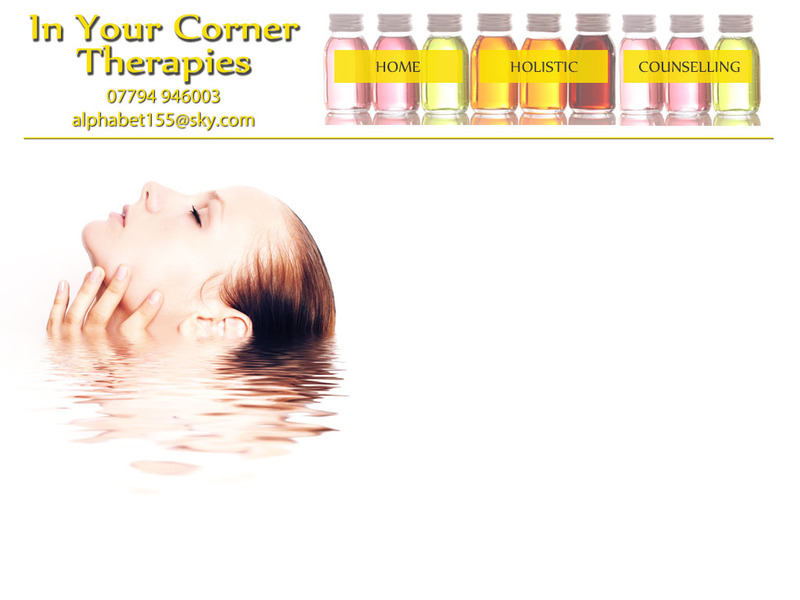 For the body my services include Indian Head Massage, Aromatherapy Massage, Reflexology and Facial treatments, for which I offer consultations to achieve the best treatments to suit you. I am local to Portsmouth, based in Farlington, and have all the qualifications necessary to offer you personal treatment plans to improve your health and well being or to just off you some "me" time. If you are interested in any of these services please click the "Holistic" link at the top of this page for see more on how I can help you, what I aim to achieve and what qualifications I have. As a fully qualified and experience Counsellor Accredited and Registered by BACP. I can support you to explore personal issues you have from Anxiety, Depression, Stress, Employment concerns, Relationship concerns, long term and terminal Illness to Bereavement and Palliative careetc. I'm experienced in Child and Youth counselling as well as Additional needs, from behavioral problems to developmental trauma and have many years experience as a personal counsellor. I have worked with Macmillan Cancer Care, in Private practice, CAMHS and NHS (currently), and within the educational environnment. If you are interested in my Counseling services please click the "Counselling" link above for information on my services, experience and qualifications.